Work Hard, Train Hard, Play Harder: 2 weeks away! As of today, my first EVER half- marathon is two weeks away in San Francisco. I'll be hitting the pavement with 25,000 +( mostly women). I'm so thrilled to finally meet in person all the amazing ladies I've met online via twitter, who have inspired and pushed me through the training months. It wasn't easy during the summer months - humidity, heat waves, and pounding headaches -they reminded me to take it slow, and most importantly hydrate. Start small, your body will thank yourself for it. There would have been no way I would have kept up my training (on my own) if I started with a 6+ mile run and tried to keep going from there. I would have hated the goal, myself for making the goal, and failing the goal. 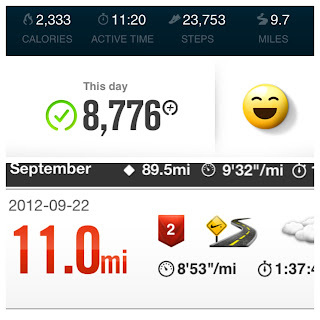 My training started at 2-3 miles runs and increased gradually every week by one mile. If you are serious about your goal and really work hard, it won't seem so tough. During this whole training period, even though I feel a bit tired after some of the long runs (and sore) and squeeze in some of the weekday runs during work break, I never really feel like they are that big of a burden or too much work. Never once does it feel like I have to drag myself out of bed to run – I'm been pretty pumped to go, even though I know it will be challenging ie) hills or weather factors. Sure, I am tired at the end of lots of my Saturday runs, but it's good tired – one where I feel like I accomplished a goal ie) running my farthest or fastest pace. Don’t worry about what others are doing, focus on what you can do. I will admit when I first started this, I was looking at the pace and time of the others, I wanted so badly to be able to get my pace up. Justin would continuously remind me that I needed to focus on my own training and my pace will come later and it did! 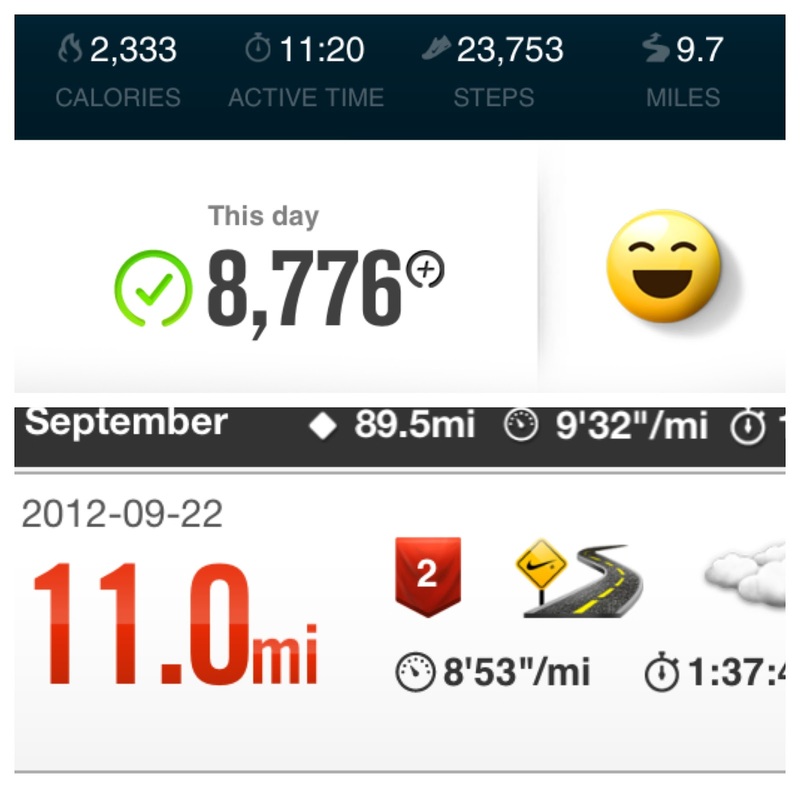 Thanks to the tempo runs and hill sprints. These past few months of training have been a real eye -opener, running distances I would have never dreamed of doing and along with it I became healthier. I was never in it for the weight loss, but I did lose a few pounds and have more muscle definition and toned. great post with awesome tips--yes your own pace/plan--don't stress about what others are doing! hard--I know--and also remember we all have good days and bad days--just get back out there!